Plymouth Hospitals NHS Trust has become the first NHS trust to begin implementation of an open source, open standards-based electronic prescribing system. The organisation plans to start using the system – the first of its kind – from June 2018. At the beginning of this year, the trust appointed CGI to help it implement the OpenEHR system. E-prescribing will be the first module to go live, to be incrementally followed by open order communications and open e-observations. OpenEHR is the open standards electronic health architecture, and supported by Slovenian company Marand. 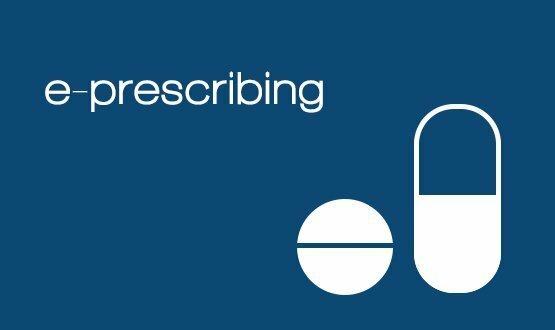 An Anglicised version of its e-prescribing module has been developed under the Code4Health Initiative, including clinical assurance by NHS Digital. NHS Digital have also contributed to the funding of the first of its kind project, which initially received a Tech Fund award. Speaking at a Tuesday OpenEHR event in Salford Andy Blofield, IT director at Plymouth, explained the approach was driven by financial necessity, as the trust had no money, “we had no options”, but also fitted with its incremental development approach. Plymouth, one of the biggest single site hospitals in the country, is a best of breed trust which implemented an EPR in 2005, “something I don’t want to do again,” said Blofield. The trust has had order communications since 2004 and has refreshed PACS/RIS three times. “Most worryingly, we’ve got something like 190 different departmental solutions – some are good, some are less good,” said Blofield. The trust scored Marand and OpenEHR against its original OJEU requirement and found they came out on top. They were subsequently named as a preferred supplier and the two organisations began working together at the beginning of the year. Marand’s most high profile reference site is the City of Moscow, which uses OpenEHR to deliver care to five million people. Blofield described open electronic prescribing as the trust’s “starting place to move forward”. The application will be delivered through a portal that is fully seamlessly integrated into the trust’s existing systems and workflow. The trust runs an old iPM patient administration system (PAS) and Solus locally-developed clinical portal. Five comments and only two are visible? Why is that? Just to point out NHS Digital have not contributed any funding to this project, they have however provided vital advice, information, support and guidance to enable the solution to be developed to the required clinical safety standards. Marand made the first public commit of openEP (as an ‘example’) to github in 2014. The second commit was 20 Sept 2017. I would suggest your own is post is fake news Tor. OpenEHR is supported by more than one company. and you are anything but locked in. Indeed there is nothing stopping your own clinicians contributing to the archetypes in the same way as HL7.org precludes IT professionals from contributing to those specifications. There are multiple vendors available, plus Open Source CDR instances such as EtherCIS. Not sure what you think about the significant steps taken by Moscow – sounds like your are a troll to me. If Moscow did not take OpenEHR, why would they claim they did? Not that you can run an entire ecosystem off the CKM and CDR – these are components to aid interoperability. To expand on my comments. The Moscow implementation is a IHE XDS based system, which can supply OpenEHR artefacts in addition to other documents. It can be used without OpenEHR. It’s not the other way around and I think it’s wrong and misleading to give the impression it is. Our definition of open source are different. I’m a developer (mostly using open source tools) and expect a certain amount of information to be available without contacting a vendor. I don’t see that with OpenEHR. Probably likewise modellers don’t see the same support from other standards. I have no gripe with OpenEHR and would take a deeper look if I could. Sorry but that’s my opinion. Lastly I use an anonymous name because of where I work not for any trolling purposes.